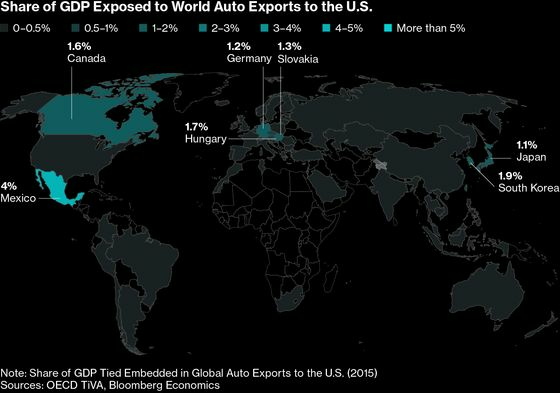 President Donald Trump’s threat to restrict foreign car imports would have a greater effect on the global economy than the U.S.-China conflict, according to World Trade Organization Chief Economist Robert Koopman. Koopman’s comments come as the WTO slashed its global trade growth projection for 2019 to the lowest level in three years, citing the impact of rising commercial tensions and tariffs. Trump is currently mulling tariffs, quotas or other restrictions on imports of autos and automobile parts following the completion of a U.S. Commerce Department national security investigation. The inquiry is identical to the process the U.S. pursued for metals last year, after which it implemented 25 percent duties on steel and 10 percent tariffs on aluminum.